After our day trip to Atlanta, we drove through Birmingham on our way back to North Alabama. Kurt's camera is in the shop, so he stole mine and took waaaaay too many pictures of Railroad Park. It is a really awesome park, and he took some very lovely shots, so I had a hard time editing. Feel free to breeze through the photos, but there is a fun bit at the end! After our trek through the park, we met up with Jessica and her fiancé Eric at El Barrio for a drink. Woo hoo! They are (finally) engaged! Jessica refused to give me the cliché ring shot, so you will have to settle for this picture of the happy couple and take my word that the ring is gorgeous. Congratulations you guys! Now get to planning so I can buy my plane ticket! Kurt and me! We had a fun couple of days but are definitely not cut out for road trips and long car rides. Planes/trains/buses from here on out for us! I've never been to the South in my life! It was cool to see your latests posts of places I've always wondered about! Bring your passport if you ever go! It's definitely a different country down there :) But there are also some very fun, interesting, and historic things to see. Not to mention, the people are a particular version of friendly! 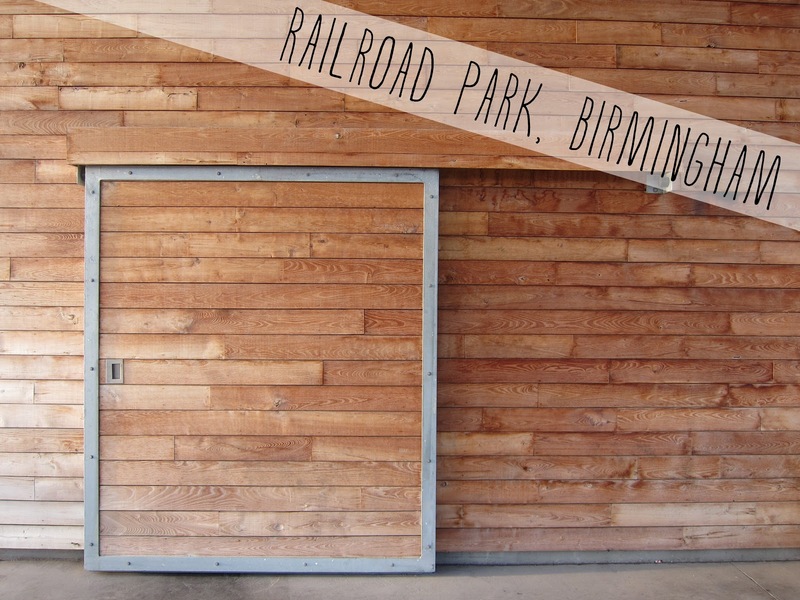 Love the Magic City... great pictures of Railroad Park! And... Excellent choice with El Barrio. Please tell me you tried their Grape Fruit Margarita!? Noooooo! I didn't know the Grape Fruit Margarita was the thing to get! Next time! Love and Miss RR Park. Great pics. We'll see you at the wedding!! 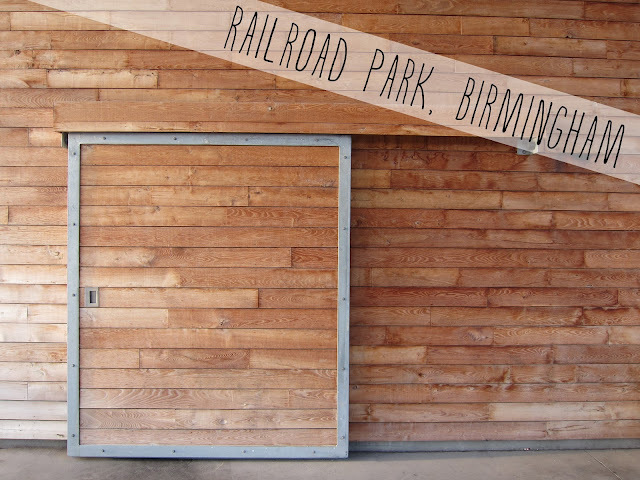 I can't get over Railroad Park. I'm hoping for a May wedding so I can finally see it in really nice weather! I know...so if I'm going for a northerner's July, May should do right?